A new premium food product is set to join wagyu beef, organic chicken and free range eggs. 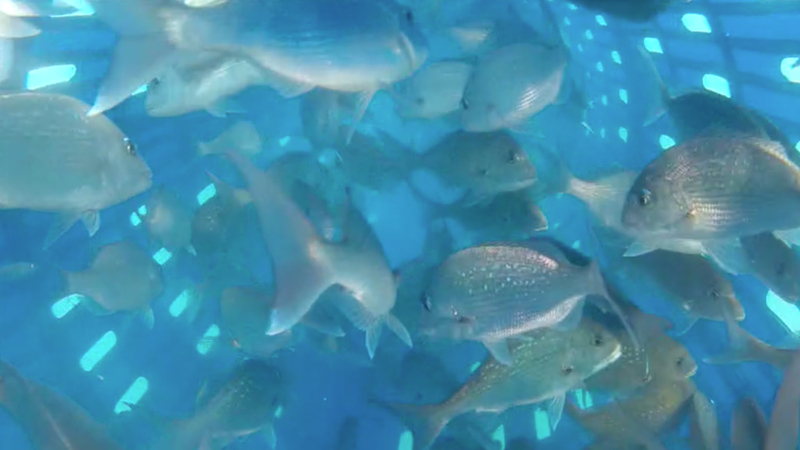 Consumers will soon be able to choose Tiaki caught fish, and use their smart phone to see where and how it was caught. 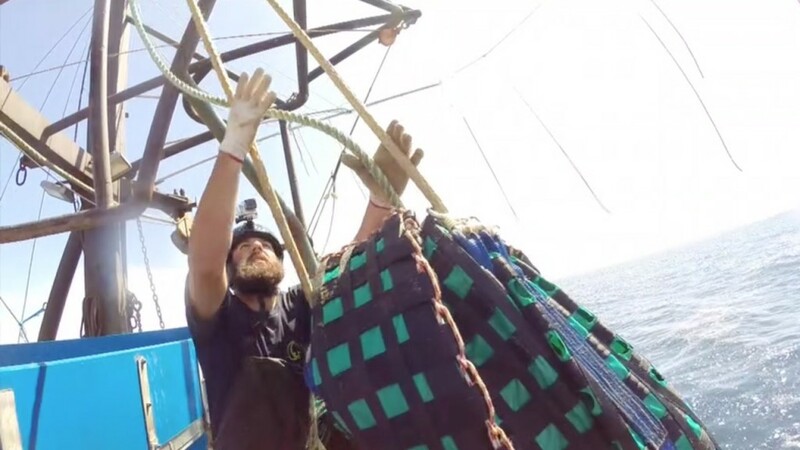 Fishing the Tiaki way replaces traditional trawl nets with modular harvesting systems, a more sustainable way of fishing producing higher quality seafood. When fishing in-shore species; Tiaki caught fish are brought on board alive, swimming in water and in pristine condition. There is also the potential for undersized or unintended catch to be returned to the sea with a much higher survivability rate. When used to harvest deep water species such as alfonsino or hoki, the new technology is reducing the damage to the fish, increasing the quality and adding significant value to the catch. Luke Jones, crew on Sanford’s Tengawai explains how the fishing method works. Tiaki is the latest stage in the six-year Primary Growth Partnership between the Ministry for Primary Industries and three of our commercial fishing companies - Sanford, Sealord and Aotearoa Fisheries – representing a combined investment of 48 million dollars. The partnership was launched in 2012. Ministry for Primary Industries Director-General Martyn Dunne says even though it is still being trialled Tiaki has already demonstrated huge potential. Programme manager for Precision Seafood Harvesting Dave Woods says there is increasing demand from consumers to be more connected to where their food comes from and the methods used to harvest it meant the commercial fishing industry needed to transform. And that technology is not only working below the sea, Tiaki caught fish will come with its own traceability app meaning consumers can quickly find out more about where and how their fish was caught using their smartphone. Mark Soboil from Fishtale explains how the traceability app works. Sanford, Sealord and Aotearoa Fisheries all currently have crews fishing the Tiaki way - with a combination of deep sea and inshore fisheries - catching hoki, alfonsino, snapper, gurnard, john dory, trevally and kingfish. 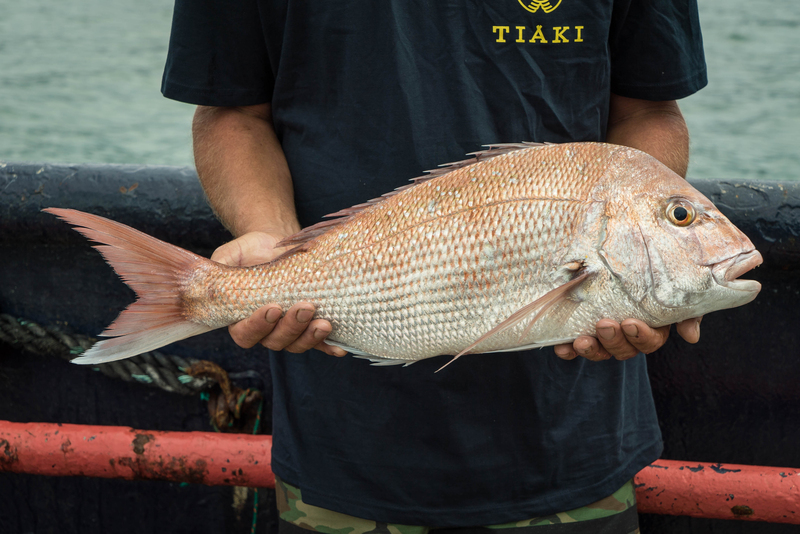 Tiaki caught fish will be available in limited quantities under the Tiaki brand in Auckland later this year. It has taken 10 years of New Zealand research and four years of trialling the technology on board boats to get to this point. Precision Seafood Harvesting technology was developed by Plant & Food research, a crown research institute based in Nelson. The team of 14 scientists, led by Alistair Jerrett, set themselves high goals in developing new ways to fish with the overall objective for PSH of improved survivability rates for unintended catch. Senior scientist Suzy Black says the commercialisation project still retains a strong element of innovation and development work. Tiaki caught fish is tipped to be a big earner and marks a move by the three companies involved towards value over volume. CEO of Sealord Steve Yung says capitalising on the demand domestically and worldwide for premium seafood is important for industry. The Government set a target of doubling the value of New Zealand’s primary industry sector exports to 64 billion dollars by 2025, and it is hoped Tiaki caught fish will make a significant contribution towards that.